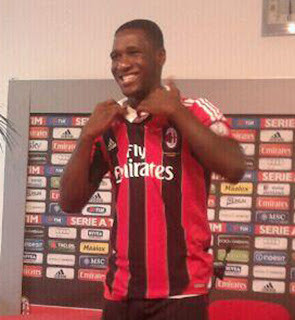 One of our most important signings of the summer would be our newest center back, Cristián Zapata. When asked about the pressure of joining his new club, he said, “Being Thiago Silva’s ‘heir’ does not weigh on me. I’m not remotely frightened of the pressure that comes with that. I’m here to prove I am worthy of Milan.” He didn’t say it to be cocky, as he followed it up by saying that he knew we had lost to of the best center backs in the world, and he simply wanted to do his best. But I like that he was fearless and he doesn’t buy into the pressure some players would. He’s not Thiago Silva, he’s not Nesta, but he is the one they call “El Mago,” or the magician. And that’s definitely good enough for me. The soon to be 26 year-old Colombian international was born Cristián Eduardo Zapata Valencia in Padilla, Colombia. He stands 1.87m (6’2”) tall and started his career with Deportivo Cali. After one season and 25 appearances with the club, he was scouted by Udinese. That alone should tell you something, as Udinese are fantastic at scouting young talent. So in 2005, he started with Udinese. After just one year, he was offered a 5 year contract, which (unless you were fortunate enough to play for Juventus under the Secco era) typically means you’re very talented. 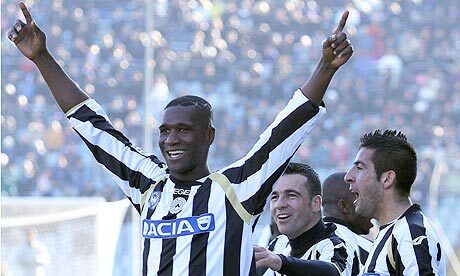 While at Udinese, he racked up a whopping 168 appearances, and even managed to score five goals. So if you’re keeping track, that is four more goals than Bonera in 165 fewer total appearances (roughly half.) And that includes being out for six months due to injury in 2008. The rest should be history. To the fans, he is an obvious starter, very arguably our best center back. When you add to the fact that our most experienced center back, fellow Colombian Mario Yepes, has played with Zapata for Colombia, it seems an obvious starting duo for a team full of players who have had little to no time to play together. Then, as time and experience catch up, you work in a player like Acerbi, maybe rotate some of the others through, etc. But this is Allegri, he is never going to do the obvious or the smart thing, so our Zapata has actually not started since the Berlusconi Trophy match, when he did start with Yepes. Which is disappointing, considering Zapata was a player Allegri had asked for, said he knew him and had worked with him before, etc. He seems a natural in the red and black. Besides, what’s not to love? Zapata is fast, clever, has a great sense of positioning, likes to get forward, but knows when to stay back. His tackles are typically clean, in six seasons with Udinese, he received exactly six yellow cards, and zero red cards. That’s one yellow card per season, impressive for any player, but outstanding for a center back. His traits also compliment the aforementioned Yepes, who is more experienced and slower, but even better aerially and more of a brute. He can also play on the left or the right, but is best at center back. Yes, it’s easy to see why they call Zapata The Magician, as his skills are like a form of magic. But he is also humble yet confident, hard-working, and a good team player. I am very hopeful we will see Zapata soon, and often, too. He has exactly the skillset we need after losing Thiago Silva and Nesta. He is young enough to be groomed for a long and successful career at Milan, yet experienced enough to not make as many dumb mistakes as that up and coming young Bonera. I think he will certainly end up being a brilliant pairing with Acerbi, and despite this summer’s huge losses, I now have great hopes for Milan’s future at center back. 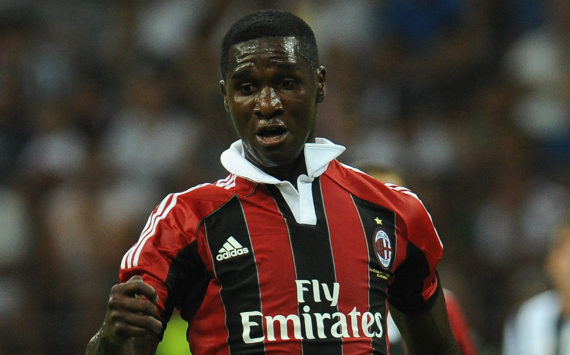 Please, Allegri, let’s allow Zapata to practice some of his magic. Welcome to Milan, Zapata. And bring on El Mago. Pete Acquaviva, and Rajath Kumar on the Rossoneriblog. And you can now read Part 2 HERE.